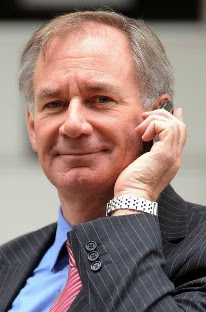 Geoff Hoon showed amazing resourcefulness at the memorial service for the Iraq War. According to a witness quoted in the Daily Mail he used his Order of Service to shield the fact that he was fiddling with his mobile phone. The witness said: “At around 11.15am, 15 minutes into the service when the choir was singing a Requiem Mass, I caught sight of him checking his messages on a mobile. The man is a complete Hoon, with no shame. A odious example of people of little talent (and even fewer morals) who have done so well financially out of the last few socialist governments. I think no more of him for it. The trouble is that without descending to crude and obscene abuse, aerosol (just pronounce it) isn't strong enough to convey the disgust that I, and I suspect most folk, feel for this time serving piece of excrement.